Note: The Eastern Coyote is about twice the size of the Western Coyote. 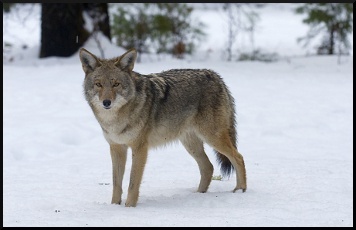 The Eastern Coyote's appearance is similar to a German shepard dog, but weighs much less. The coyote's thick fur makes it appear heavier than it is.